394 pages | 71 B/W Illus. 1. Introduction, Kirstin Drenkhahn, Manuela Dudeck and Frieder Dünkel 2. 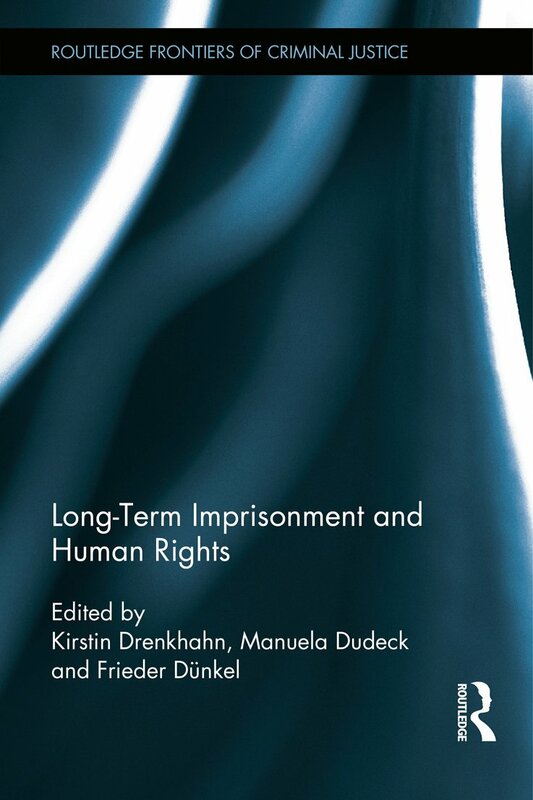 Research on Long-Term Imprisonment to Date, Kirstin Drenkhahn 3. Methodology, Kirstin Drenkhahn 4. International Rules Concerning Long-Term Prisoners, Kirstin Drenkhahn 5. Activities of the ECtHR and the CPT, Kirstin Drenkhahn 6. Long-Term Imprisonment in the Participating Countries(National reports) 6.1 Belgium, Sonja Snacken 6.2 Croatia, Velinka Grozdanić, Ute Karlavaris-Bremer and Dalida Rittossa 6.3 Denmark, Anette Storgaard 6.4 England and Wales, Fabienne Emmerich and Dirk van Zyl Smit 6.5 Finland, Tapio Lappi-Seppälä 6.6 France, Pascal Décarpes 6.7 Germany, Kirstin Drenkhahn 6.8 Lithuania, Gintautas Sakalauskas 6.9 Poland, Barbara Stańdo-Kawecka 6.10 Spain, Esther Giménez-Salinas i Colomer, Aida C. Rodríguez 6.11 Sweden, Annalena Yngborn 7. Findings of the Empirical Study , Kirstin Drenkhahn 7.1 Accommodation, Kirstin Drenkhahn 7.2 Sentence Planning, Kirstin Drenkhahn 7.3 Health Care, Kirstin Drenkhahn 7.4 Psychiatric Problems, Manuela Dudeck 7.5 Work and Education, Kirstin Drenkhahn 7.6 Leisure Time, Kirstin Drenkhahn 7.7 Treatment Programmes, Kirstin Drenkhahn 7.8 Personal Contacts within the Institution, Security and Conflict Management, Kirstin Drenkhahn 7.9 Personal Contacts with the Outside World and Preparation for Release, Kirstin Drenkhahn 8. Conclusion, Kirstin Drenkhahn, Manuela Dudeck and Frieder Dünkel. Kirstin Drenkhahn is a lawyer. Prior to her current position as assistant professor for criminal law and criminology at Law School of the Freie Universität Berlin, she worked as a research associate at the Departments of Criminology and of Criminal Law and Procedure at the Law School of the University of Greifswald. She teaches criminology and criminal law and is a co-chair of the European Society of Criminology’s Working Group on Prison Life & Effects of Imprisonment. Her research focuses on prison law, penology and empirical prison research. She was the scientific coordinator of the project on ‘Long-term Imprisonment and the Issue of Human Rights in Member States of the European Union’. Manuela Dudeck is a medical doctor and psychiatrist. She is full professor of forensic psychiatry at the University of Ulm and the chief physician of the Clinic for Forensic Psychiatry and Psychotherapy at the Bezirkskrankenhaus Günzburg in Germany. Prior to this she worked at the Clinic for Psychiatry and Psychotherapy of the University of Greifswald. She specializes in forensic psychiatry, regularly serves as an expert witness in German courts and also teaches courses in psychiatry and psychotherapy for students of medicine and psychology. Her research focuses on mental disorders in persons detained in prison and psychiatric institutions. She was responsible for the study of the mental health of prisoners in the project on long-term imprisonment. Frieder Dünkel is a full professor at the Law School of the University of Greifswald and holds the Chair of Criminology there. He teaches prison law, criminal law and procedure and juvenile justice, as well as criminology, and is the director of the LL.M. programme in Criminology and Criminal Justice. He regularly serves as an expert witness for prison law and juvenile justice both nationally and internationally, in particular at the Council of Europe. He has undertaken research on various aspects of imprisonment throughout his career. During recent years, he has supervised three research projects on human rights issues in prison, the most recent of which was the project on long-term imprisonment.